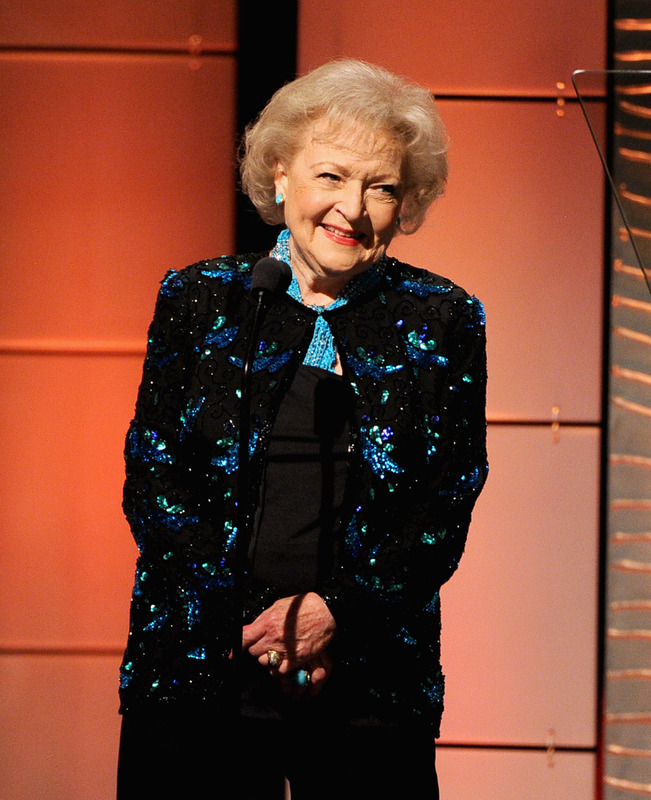 National treasure Betty White will receive a Lifetime Achievement Award at the 2015 Daytime Emmys, and it's been a long time coming. The National Academy of Television Arts and Sciences' president, Bob Mauro, announced the big news on Monday, calling the 93-year-old actress "one of the most beloved female performers in the history of television." White isn't just being recognized for being a fantastic actress and everyone's honorary grandmother — she has also been a pioneer for women in the entertainment industry. "Betty’s career as a female pioneer has followed television from literally the beginning of the medium, winning her first Emmy Award in 1952, to the digital-streaming future, winning again in 2010," Mauro added. NATAS' daytime TV vice president David Michaels added that she's the "First Lady of Game Shows" because she was the first woman to win an Emmy for Outstanding Game Show Host back in 1983. She has since gone on to win five more Emmys, ranging from Golden Girls to Saturday Night Live. White is in good company when it comes to fellow Lifetime Achievement Award honorees, too, including Oprah Winfrey, Barbara Walters, Bob Barker, and Regis Philbin. The ceremony will air live on Pop at 8 p.m. ET on April 26, and the room is sure to be filled with standing ovations, gleeful laughter, and big smiles when White takes the stage. Is it too late for her to adopt us all into her family?